Rostelecom certification – 100 out of 100! The Commission of PJSC “Rostelecom ” conducted an audit at the Incab for compliance with requirements for import substitution. Incab got 100 points out of 100 possible! 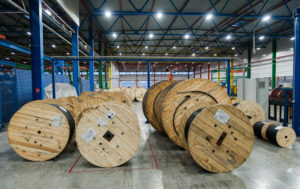 Thus, the Incab confirmed its presence in the Register of companies that meet the requirements of Rostelecom for import substitution in the regions. This means that our products satisfy for quality of foreign analogues, and have characteristics that exceed the expectations of consumers. We thank everyone who contributed to the successful passing of the audit!